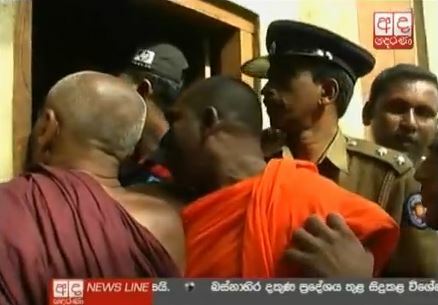 Despite a police presence, a mob led by Buddhist monks barged into two churches on Jan. 12. 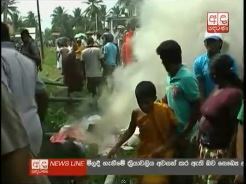 Both churches in Hikkaduwa suffered extensive damage, with windows and furniture smashed and Bibles burned. The National Christian Evangelical Alliance of Sri Lanka has reported a spate of other incidents in January that have heaped pressure on Sri Lanka’s churches. The alliance said police questioned the pastors of several churches whether their churches were authorised, and in some cases were warned not to meet due to threats from Buddhist monks. The Pastors Fellowship in Vavuniya, northern Sri Lanka, and the Church of Grace in Warakapola, near Colombo, both faced questions by the police. Meanwhile, the house of the pastor of the Rathgama Christian Church, near Hikkaduwa, was vandalised and threats were made against the Suveya Doratuwa Church in Bibile, eastern Sri Lanka. The government has announced plans to introduce regulations against publications that “defame the original teachings and traditions of the major religions”. While outwardly a positive move, the legislation has been likened to the controversial “anti-conversion laws” in neighbouring India.